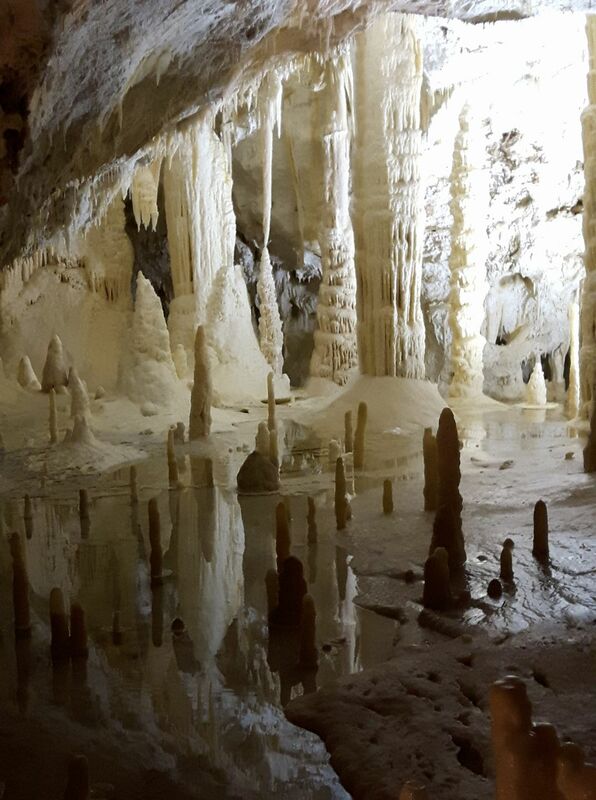 While spending a few vacation days on a trip around central Italy I made a stop in a place in the Appennini mountains, to visit some incredible caves. 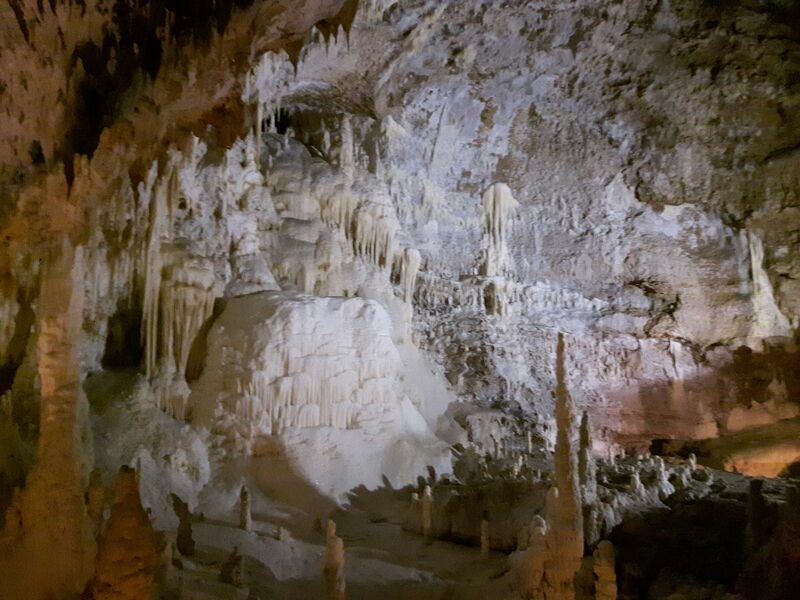 The caves of Frasassi were discovered in September 1971 by a few young speleologists, who had been tipped off by locals about the existence, atop a mountain near their village, of a hole in the ground, which emitted a strong draft wind - the unmistakable sign of underground hollows. The hole was barely wide enough for a person to squeeze in, and it led down vertically into the mountain. The group descended it with difficulty for about 100 meters, when they found themselves on a "balcony" at the edge of total darkness. Their lights could not illuminate anything, and the pitch-black abyss seemed bottomless. When they threw a stone down into it they were amazed by the fact that the sound of the fall took about seven seconds to be heard! 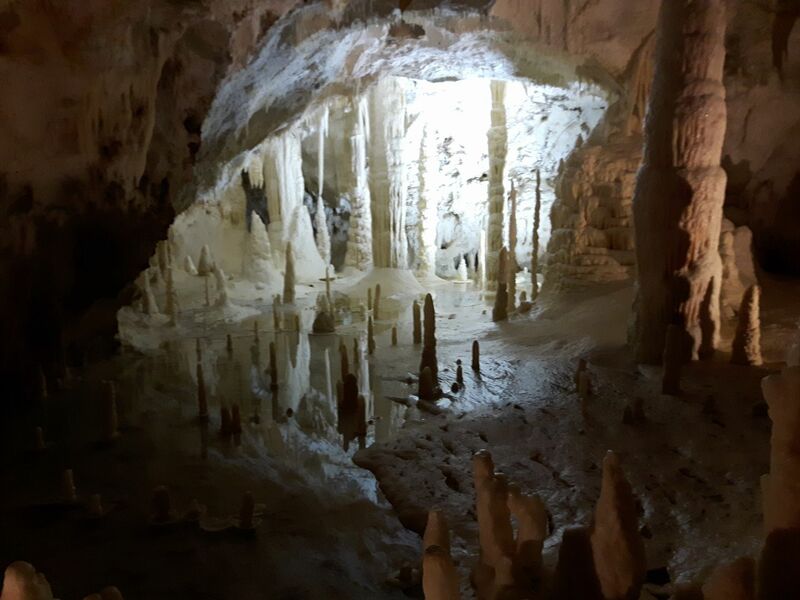 They rushed out and on the same day they came back with the needed equipment, and bravely lowered themselves into the abyss: they had discovered an incredible maze of caves – more than 30 km long – inside the mountain. 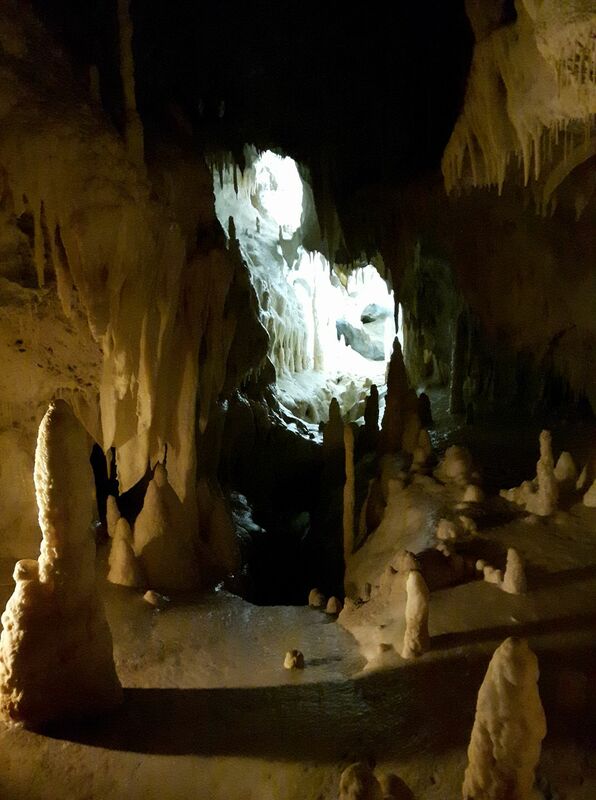 The main hall by itself, where they had first crept in, was huge – over 180 meters across and 200 meters bottom to top. 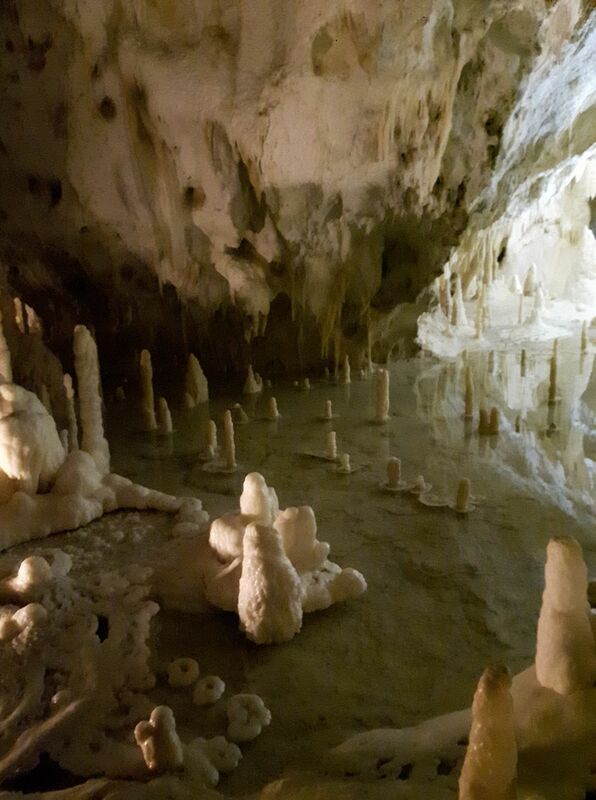 It was later named "Abyss Ancona" after the nearby town on the Adriatic. 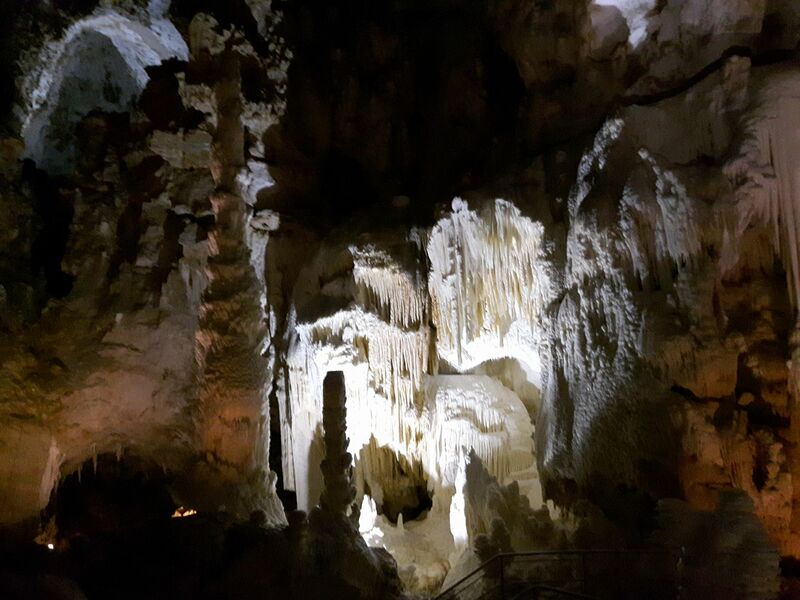 Nowadays the caves are accessible through a 300-meter tunnel that was dug horizontally from the road that flanks the mountain. 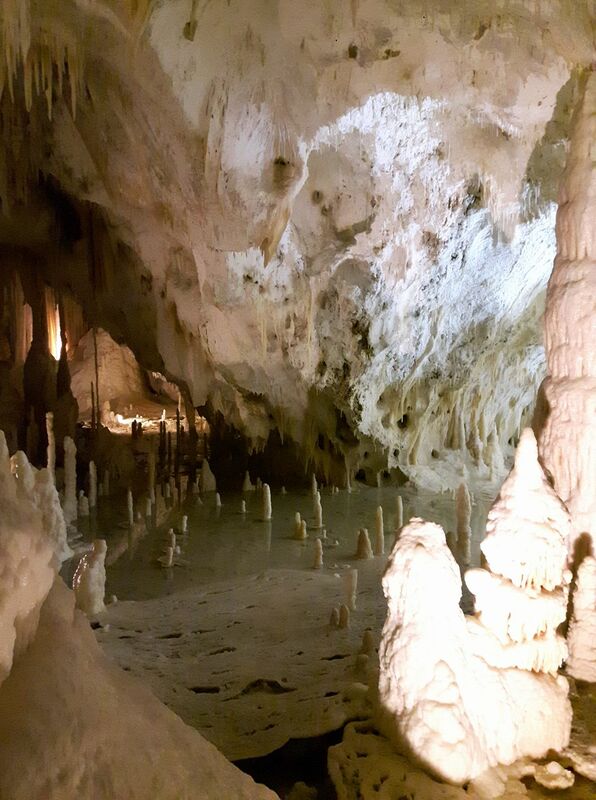 Tours lead an endless stream of visitors through a very well-drawn and built path which runs about half a mile through the caves, always over the geological formations and away from them to prevent human contamination to the beautiful concretions. 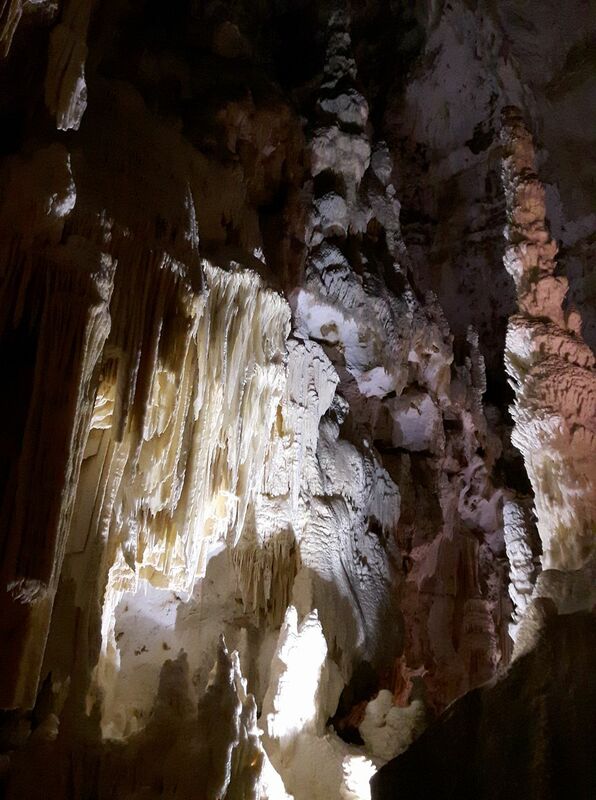 Lighting has been also optimized to allow visitors to enjoy the astonishing beauty of that underground world. 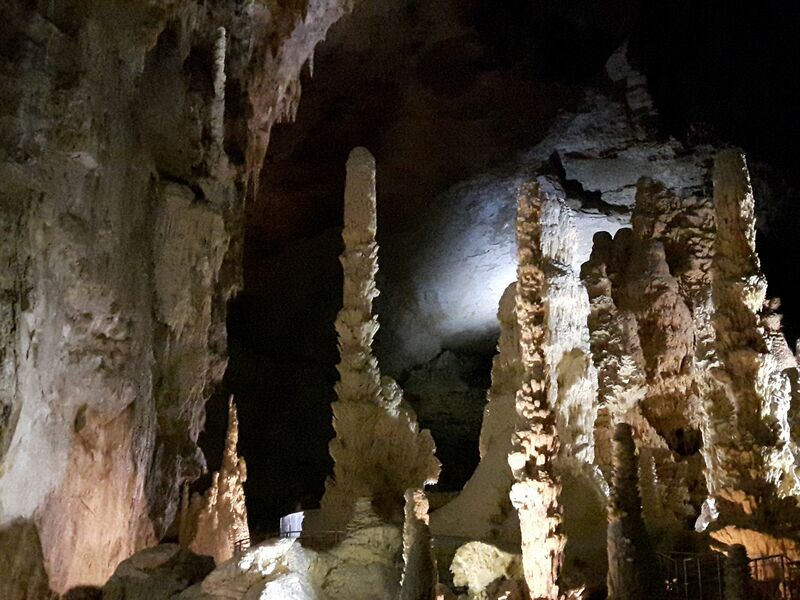 There are underground lakes, calcyte concretions of the purest white, formations that resemble veils or drapes, and stalagmytes of all kinds and sizes, the tallest towering at 18 meters of height. 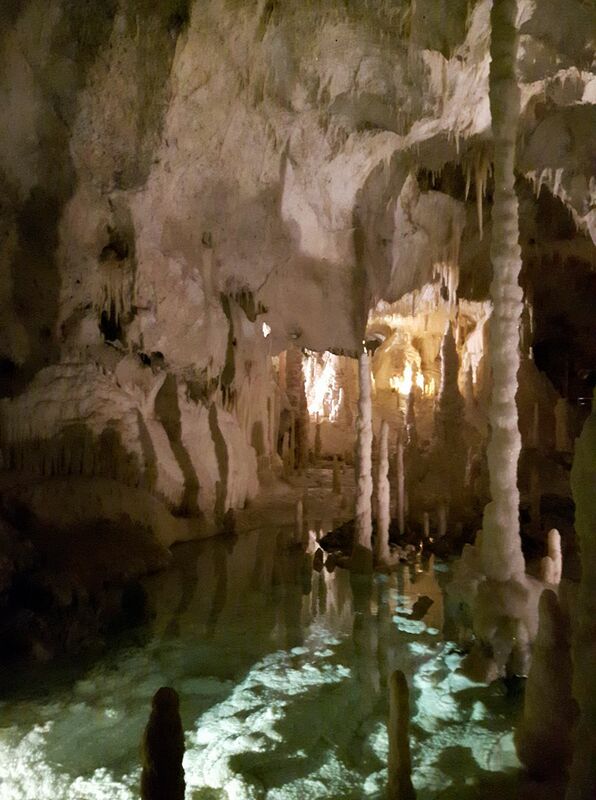 Below I have pasted a few pictures of the place, in the hope that they will trigger you into planning a visit to this magical place. I should also report that the visitor center near the ticket office has several bars shops, among which there’s a couple selling minerals and fossils. 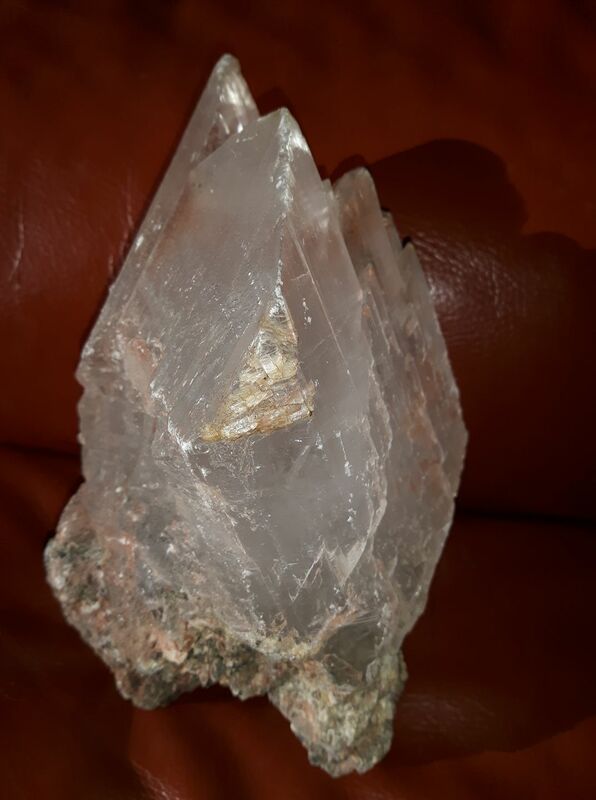 Here is a pic of a specimen of Selenite I could not resist from purchasing there (the specimen is from Brazil, not local – but it’s beautiful). It measures 7 inches by 5. Watch the scale in the pic above: the pathway can be seen at the bottom of the central pillar.